I have been working on my CodePlex Projects lately and they have all released a new version in the past 2 weeks so I wanted to do a Summary for what’s new! They are not huge projects such as AutoSPInstaller, or SharePoint Manager, but if it helps anyone out there, I am happy! Fix the password validation function being case insensitive. Fix the input.xml files to have consistent capitalization. Put all the XML files in a XML subfolder to make it look cleaner. Added a “AutoSPInstaller” SharePoint accounts level to include all the AutoSPInstaller accounts with the same usernames as the ones by default in the autospinstallerinput.xml. Added the option to put the SQL Service accounts in a separate custom OU. The SharePoint Host named Site Collection (HNSC) Creator is a Codeplex Project that allows SharePoint Admins to create HNSC via a GUI instead of PowerShell. It works with both Windows Server 2008 R2 and Windows Server 2012! This is a new project, so it’s still in version 1.0 Beta but its stable and tested. The 1.5 should come within 1 month, and should add a better way to select the template of your new site collection. First Version of the SharePoint Host Named Site Collections Creator. There is a nice formula to define how much RAM you should dedicate to all the SQL instances on the server, to make sure there is enough left for the OS but… unfortunately it’s not easy! This CodePlex project is an easy GUI Interface that will calculate the perfect amount of Ram you can dedicated to your SQL instances. Leave a comment and don’t forget to like us on Facebook here and to follow me on Google+ here and on Twitter here for the latest news and technical articles on SharePoint. Also, don’t forget to check out SharePoint Community.Net for more great SharePoint Content. Please note that unfortunately, the Synthax Highlighter Plugin messed up some of the PowerShell! To get the good Script make sure you check the download link at the end of the post! I searched Google and nothing. I wasn’t sure if I messed up the farm installation, or if I messed up the UserProfile but I debugged more and found out something really strange. Even if the AboutMe field was empty in the user Profile, when you looked at the Source of the code, there was something! (I changed it to “Why did About Me Dissapear”). In the picture you clearly see that even if the box is empty, the actual value is in the source. But then I asked myself… how come no one else found out about this before… is no one using MySites in SharePoint 2013? Then, while deleting customization one by one and testing, I found out I had this “error” only when I had more than one HTML Property. As soon as you delete it everything goes back to normal and you see the same things in both the MySite and the UserProfile. I got this bug with SharePoint 2013 using the March 2013 Public Update as well as the August 2013 Cumulative Update. Moral of the Blog Post… Only use 1 HTML Property for now… at least until the October CU Arrives! Originally, Microsoft only gave the sessions videos and slides to attendees of SharePoint Conference 2012, and people who didn’t attend had to pay 199$ to get access to them. After Olaf Hubel from Microsoft recently announced on LinkedIn they will be posting SharePoint Conference 2012 Sessions, I am happy to tell you that a lot of the sessions are now there! You can’t find SPC12 in the Events directory, however with a direct link you can access all the videos! In today’s volatile economic climate, organizations require communication solutions to be both cost-effective and flexible. SharePoint Server 2013 can help you achieve new levels of reliability and performance, delivering features and capabilities that simplify administration, protect communications and information, and empower users while meeting their demands for greater business mobility. In this session you will learn more about what’s new for IT Professionals in SharePoint Server 2013 and how its features and capabilities can help simply administration, protect communications and information, and empower users. Microsoft is an industry leader when it comes to privacy, security and compliance practices. By focusing on the defined principles, Microsoft ensures every Office 365 customer who has entrusted Microsoft to host their data can rest assured Microsoft upholds high standards to protect and secure customer data. This session will give an in-depth view of the principles governing the data, privacy and security processes, tools and frameworks in Office 365 â€” a deeper dive behind the public statements Microsoft posts on the Office 365 Trust Center: http://www.microsoft.com/en-us/office365/trust-center.aspx. SharePoint is a feature rich enterprise ready platform that has the potential to revolutionize your business. Experience shows that without the right team in place to support the adoption, exploitation and promotion of new ways of working you may struggle achieve your expected return on investment! Setting up an empowered team, with a passion for SharePoint and a clear understanding of the organizations vision and goals you can guarantee your SharePoint deployment exceeds expectations, changes the way your business works and delivers your expected return on investment. This session provides a detailed look at how to create your SharePoint Center of Excellence, its terms of reference, roles and responsibilities. The role of the team in the practical application of governance, exploitation of the out of the box features, identification of common patterns of use, communication, training and growing a community of SharePoint champions throughout your organization. Understand why the investment in a SharePoint Center of Excellence will ensure you get value from SharePoint today and into the future. SharePoint 2013 had a goal to enable workflow to do more with less, to have a rich set of workflow functionality which works the same way on-prem and in O365, and to improve overall robustness of the SharePoint workflow. As such SharePoint 2013 has introduced a new workflow platform based on a new workflow hosting product from Microsoft – Workflow Manager. One of the two objectives of this session is to demonstrate architecture of the new workflow platform. The other goal is to discuss various configuration and topology options supported by the workflow platform and how to leverage them to achieve optimum reliability and efficiency. SharePoint 2013 has introduced a new workflow platform. The new workflow platform can be leveraged by the new apps for SharePoint as well as classic SharePoint solutions. In this session, we will demonstrate the development experience and lifecycle management of the new workflows in context of a SharePoint App and a SharePoint solution. We will walk through real-world scenarios where some key new workflow features can add value. We will demonstrate how to use those key features. The features include, but are not limited to calling web services from workflow, using custom UI, and influencing behavior of in-flight workflows by sending custom messages to the workflows. Developing a solid foundation for your users is critical to the success of your SharePoint Server 2013 deployment – in this session we’ll share the major changes in how upgrade works in SharePoint Server 2013 and how to best take advantage of new capabilities to enable and deliver a smooth upgrade experience to your users. Classic Mode deprecated !?! OAuth?? If you havenâ€™t heard the news, identity and authentication is new and improved in SharePoint 2013! In this session we will drill down into the new authentication features and changes made in SharePoint 2013. We will learn what has changed in web application authN, inter/intra farm authN, service applications and SharePoint Apps AuthN to get you up to speed quickly with SharePoint 2013. If you are familiar with SharePoint 2010 infrastructure and want to learn what is new in SharePoint 2013, this session is for you! This session explains how SharePoint application security works within a private network environment when SharePoint apps are installed in sites within an on-premise SharePoint farm. You will learn how to use an SSL certificate to configure the S2S Security Token Service in a SharePoint 2013 farm. You will also learn how to develop and deploy developer-hosted SharePoint apps which use the S2S Security Token Service to create a trusted connection and to authenticate the application. The session also walks through code which creates and manages OAUth security tokens and uses the TokenHelper class that is automatically provided by Visual Studio 11 when you create a developer-hosted SharePoint app. Learn about the content ingestion and extensibility side of SharePoint 2013 Search. In this session we will go into depth on the new search content processing framework. We will also dive deep into the web services callout stage and demo how to do search content enrichment. Successful SharePoint deployments have one thing in common – great search! Do you want to know what’s powering the greatest search experience SharePoint has delivered to date? In this session we will take you under the hood and explain the architecture. We will take a close look at the feeding chain, the core search engine, query execution and the new analytics and recommendation engine. We will give you pointers to other sessions that will cover each of the components in more detail. You will leave the session with a better understanding of the architecture and some practical tips and tricks that will help you in your work with search. In this session, we’ll explore the new features of PowerShell 3.0 and how those features can make the management and automation of SharePoint 2013 easier and more efficient. Attendees will learn how to use SharePoint to aid their deployment and upgrade processes. We’ll also cover some time saving tips for using PowerShell. Additionally, administrators will see how they can use PowerShell to manage our Office 365 SharePoint Online sites. SharePoint 2013 comes with many new features and changes that not only improve user experience but also performance and reliability of the system. In this session, you will learn about the key architectural changes in SharePoint 2013 as they relate to performance and reliability, performance improvements, and get guidance on capacity planning. You will also get some insight into how SharePoint team is thinking about performance and capacity management for our internal deployments. Learn about People Search capabilities in SharePoint 2013, and how to leverage external content sources (LOB) to create custom experiences based on user profile properties. Finally, learn how to deliver a user context aware personalized search experience. How Yammer and SharePoint are Approaching Social Hear Yammer’s vision for enterprise social an get a sneak peek of the product roadmap. Then learn about the social investments sharepoint is making to help companies become more collaborative and connected. Following is the backbone of many of the new social features we’ve introduced this release. By letting you explicitly indicate what people, content, and topics are important, we’re able to achieve our goal of giving you a totally personalized social experience. A key component of that is giving you the ability to share who you are and what you’ve been doing across SharePoint, Office, and Lync. While we love the openness that these social features bring, we’ve also given you the ability to customize your privacy settings and decide what information you share with others. In this session we’ll run through real-world demos to show you the benefit of using the SharePoint 2013 social features. The New SharePoint Online (SPO) isÂ now more services ready than ever.Â Come learn and discuss the massiveÂ SPO updatesÂ soon to hit Office 365.Â This session is a chalk-talk style session, lots of Q&A, structured and unstructured, andÂ YOU are in control. We’ll focus on features, scenarios, workloads, and audiences, with guidance on all the SPO richness and clarity on when an on-premisesÂ use of SharePointÂ still may make sense. One of the most frequently asked questions by organizations is how best to use the social media opportunity to improve their sales, service and marketing capabilities. Everybody seems to be jumping onboard the social media bandwagon- how and why? Come learn how to use Microsoft social technologies including Dynamics CRM, SharePoint, Yammer and others to better engage customers and to improve internal collaboration. SkyDrive Pro is the new place to store, sync, and share files: it’s the file service that your users crave and that your org can endorse. This session provides a comprehensive survey of all SkyDrive Pro has to offer: easy save and share, lightweight version control, desktop sync, Office client integration, and more. SharePoint 2013 and SharePoint Online include a revamped experience for sharing documents, folders and sites. Users can even share with people outside the company using Guest Links (anonymous) and External Access (authenticated) invitations. And there are key controls for IT administrators to comply with their companyâ€™s business preferences, with granular controls unique to individual business units. We will share and show the new experiences for sharing, permissions, access requests, external invitations, and how IT can flexibly manage the experience end to end. SharePoint doesn’t stop when one hops on a plane, or hunkers down in a coffee shop. In this session we’ll cover all the new SharePoint mobile investments including the new mobile apps for Windows Phone, Windows 8 and iOS (including iPad). You’ll learn how SharePoint makes it easy for users to remain in the social fabric of ongoing discussions, keeping up with the people and documents they follow. In this session we will cover the new search driven publishing model that allows companies to create dynamic search driven web sites with SharePoint 2013. This will include details on separating content management workflows from presentation and user experience. We will show with examples features such as; catalog configuration and use, cross-site publishing, content re-use, managed navigation, item detail and category pages. Project Online and Project Server 2013 enable teams and organizations to get started with Project and Portfolio Management (PPM), right from managing day-to-day work, to prioritizing portfolio investments for maximizing business value. This session provides an overview and demonstrations of both the online and on-premise capabilities of Microsoft’s *latest* Project Portfolio Management (PPM) solution. Learn how SharePoint 2013 helps teams work better together with integrated task management features. See how tasks help teams plan, organize, and stay in sync. Also learn how tasks help individuals see the broader picture and focus on the most important work at the time. The new Office and the updated Office 365 service bring exciting new capabilities that will delight your end users, give IT admins new ways to deploy and manage their services, and enable developers to provide a whole host of rich solutions and applications. This session will provide an overview of the online service and focus on the new Office client, Exchange Online, and Lync Online as well as how we think about Office 365 across devices. This session will cover a wide range of topics, and be demo heavy. You will walk away with clarity of the full Office 365 suite experience. Microsoft has made significant investments in Enterprise Social in SharePoint 2013 and with the acquisition of Yammer. In this session we will cover our vision and high-level roadmap for this transformative technology, in addition to highlighting the significant opportunity for business value. Finally, weâ€™ll cover the specific social enhancements made to SharePoint in the 2013 release. eDiscovery is a major area of investment in the new version of Office. With the new release, we’ve built the ability into the platform (across Exchange, SharePoint and Lync) to perform the discovery process in-place, on-premises or in the cloud. In this session, come learn about the centralized eDiscovery tools we have delivered to unify the identification, preservation and export process for content to make it extremely easy for legal teams to do their work without affecting end user productivity. Also learn about the substantial cost savings through the reduction of third party tools and reduction of storage needs by holding content across Exchange, SharePoint and Lync in-place. Learn about the new Site Mailbox feature that spans Exchange and SharePoint in the new release and how it brings together project related content into one place, making it even easier for teams to collaborate on projects and work towards shared objectives. In this session you will learn what problems team spaces (with Site Mailboxes) solve, and see how they fit into the larger picture of both Exchange and SharePoint. In this session we will dive into planning for the new search architecture in SharePoint 2013. Capacity planning and sizing will major topics, we’ll go into details on the deployment models that the product group has been testing. We’ll also be going over the best practices for planning high availability and disaster recovery, including backup and restore. We have some cool demos to show how major operational tasks can be scripted out for streamlined deployment and operations. In this session, learn more about developing apps on Yammer using open APIs and see what’s ahead on the roadmap. You’ll also see demos of apps built on the Yammer platform and learn how and why leading companies are choosing to integrate with Yammer. Office Web Apps Server and SharePoint 2013 – Office Web Apps are now hosted in a standalone server product. This allows multiple SharePoint farms to share a single Office Web Apps Server farm as well as allowing integration with other Microsoft products such as Exchange and Lync. This session will explore how the Office Web Apps architecture has changed, how to set up an Office Web Apps Server farm, and how to integrate that farm with SharePoint 2013. Learn the tricks for migrating an installation from SharePoint Search 2010 or FAST Search for SharePoint 2010 to the new search solution in SharePoint 2013. This session will cover migrating Best Bets, Visual Best Bets, Synonyms, Search Schema, and more. We will also cover the search first migration approach. See live demos of the full migration process! Also, come watch a demo of a test framework that you can utilize on any SharePoint 2013 Search project. Windows Azure is an open and flexible cloud platform that enables you to quickly build, deploy and manage applications across a global network of Microsoft-managed datacenters. You can build applications using any language, tool or framework. And you can integrate your public cloud applications with your existing IT environment. In this Session with Mark Russinovich, Technical Fellow for Windows Azure, learn what Windows Azure provides, how you can take advantage of the new offerings (including Virtual Machines/IaaS, Web Services, and Media), and how to get started today. 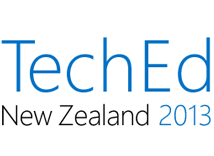 Mark will walk you through a tour of Windows Azure showcasing demos and case studies. In part 2 of this 2 part series, we will take a deeper dive into apps for Office and SharePoint. This session will focus on authentication scenarios, user experience guidance and general best practices in developing apps for Office and SharePoint. This session will take the apps from Part 1, and enhance them so that they demonstrate the best practices and guidance outlined in this session. In part 1 of this 2 part series, you will learn about the techniques used to build apps for Office and SharePoint. We will discuss the architecture and anatomy for apps for Office and SharePoint, the various types of apps, development techniques and hosting options that are available. Throughout this session we will demonstrate various apps for Office and SharePoint, while looking under the hood on how they work. Project Online is the *new* Office 365 service that enables teams and organizations to manage their day-to-day work, plan mission critical projects and prioritize portfolio investments to maximize business value. This session provides an overview of Project Online and Project Pro for Office 365 and how to get started. We will be spending a significant amount of time demonstrating Project Online don’t miss it! SharePoint is a large and powerful platform and understanding where to get started can be challenging. In this session, we’ll assume that you’re an aspiring SharePoint developer and will walk you through the fundamental building blocks for how to move from zero to hero. Specific topics in this session will include core programming skills, investing in the right areas to optimize your learning curve, free resources and tools to help you get started, tips and tricks to get you on your way, and more. If you’re looking to get started, but need some help in your journey then make sure you check out this session! The volume and diversity of information is exploding, and most organizations struggle to provide a unified view of their information to their employees, partners, and customers. SharePoint makes it possible to unify Information across SharePoint, O365, and LOB systems – empowering people with dynamic and comprehensive views of strategic enterprise data. This unified view is accomplished with the search technology built into SharePoint, and is the basis of a new generation of Search-Based Applications._x000D_ _x000D_ In this session, we give you practical approaches to creating a unified view, and for surfacing this content in search-based applications. This is a demo-led session, highlighting SharePoint 2013 but also showing how to bridge transparently across SharePoint 2013 and SharePoint 2010. Are your customers interested in trying out Office365, but still keeping most of their collab assets and data on-premise? Are they asking you to provide a single way to find content regardless of where it lives? This session will arm you with the information necessary to help your customers plan Hybrid deployments – connecting SharePoint 2013 on-premise with Office365 – and enabling a comprehensive Search experience that spans the two. You’ll learn about Search in SharePoint 2013 capabilities in O365, as well as new out-of-box hybrid capabilities that make this scenario much easier to enable than with SP2010. SharePoint Server 2013 was built for the cloud, designed to support the worldâ€™s largest SharePoint infrastructure: SharePoint Online. This session will use architecture and topology decisions derived from SharePoint Online to provide best practices, guidance, and recommendations for deploying SharePoint Server 2013 on-premises. Most companies today realize the imperative to connect with their customers, employees, and partners through social technologies like SharePoint and Yammer. For corporations to successfully transform into social business enterprises they must learn how to leverage these technologies to create a more adaptable organization. Mark will present some clear strategies and real-life stories from visionaries and change makers which highlight how the very best in the world are doing it. This session will describe how customers and partners can leverage the power of SharePoint 2013 and Dynamics for Retail to drive Omni-Channel Sales and Marketing. The session will provide details on how the new integrated Storefront solution provides the foundation for implementing an ecommerce business. Learn how the integrated SharePoint 2013 and Dynamics for Retail solution enables Omni-channel Sales and Marketing by managing the online, mobile, search and social Commerce and physical store channels as well as the back office operations around retail merchandizing and pricing, catalog management, order fulfillment, supply chain management and financials. Learn best practices for using the collaboration and website features in the new SharePoint Online for Small Businesses and Professionals to work with external clients, partners, customers, and other 3rd parties. Learn how to set up a beautifully designed and branded public facing web site. Interact with customers using a public facing blog. Share team sites and documents to anyone with an email address. Easily manage projects work items and deadlines using our new team site tasks and timeline views. Jones Lang LaSalle (JLL) has been using SharePoint as a global, multi-language, self-service web content management platform since 2008. Since that time, the company has seen explosive growth in mobile device usage on the site – with a 193% increase in the past year alone. Due to this shift in the way content was being consumed, JLL worked to develop and execute on strategies to provide a first-class experience for these devices. Additionally, the business began looking for ways to provide a richer, more focused experience for its customers; particularly by investing in search and content targeting techniques. Longer-term ambitions included finding a way to evolve its web presence from just digital marketing to more of a transactional system.Â This session will discuss how the new WCM capabilities built into SharePoint 2013 were leveraged to address these important challenges. Technologies to be discussed will include: device channels, content-by-search, audience targeting, variations, machine translation, term-based navigation, SEO improvements, and the product catalog. The solution developed offers a look at a â€œreal worldâ€ implementation that combines traditional CMS approaches with new, â€œdynamicâ€ options make available by SharePoint 2013. The design placed a particular amount of focus on providing a good experience for JLLâ€™s globally-dispersed content owners and worked to facilitate seamless integration with other standalone web solutions that had been developed independently from SharePoint. This session, designed for business executives, project managers, and architects, helps you better understand how to leverage your existing investment in SharePoint to get the most out of SharePoint 2013. Learn how to leverage your current knowledge, training, and content organization to maximize your SharePoint 2013 benefit. Assess your SharePoint maturity level to determine where to invest next. Learn how to use the key features of SharePoint 2013, such as the new intuitive experience and social features, to improve your portal and collaboration experience. This is the first session you should attend, as it will provide a roadmap for your successful SharePoint 2013 journey. With the deep SharePoint 2013 API set, coupled with the new app models for SharePoint and Office, the opportunity to build innovative end-to-end solutions that span cloud services and devices is just plain breathtaking. SharePoint data is available via REST and SharePoint can fire events to light up your backend services â€” like sending notifications via the Windows Push Notification Service to SharePoint workflows. And all your cloud-based services can be powered by the reliability, scalability and elasticity of Windows Azure, from Web Sites to SQL Database. In this session an end-to-end demo is the backdrop for the discussion around the architecture and code needed to build just such a solution. This session will take you on a rapid-pace tour of the entire Microsoft BI Platform, comprising Microsoft Office 2013, SharePoint Server 2013, and SQL Server 2012 SP1, empowering organizations with better decision making. After a brief look at the strategies and issues facing today’s analytical landscape, we will present solutions for various analytical business needs. You will see: self-service analytics, dashboards, scorecards, KPIs, pivots, data exploration and discovery, collaborative report galleries, cloud data mashups, and even advanced analytics with data mining. In this presentation you will learn how SharePoint 2013 â€” together with Lync 2013, Exchange 2013, Office 2013 and Windows 8 â€” can be the basis of a powerful business application platform for enterprise-wide Information Management solutions such as document and records management, social collaboration, communication and project management and replace other proprietary and expensive systems, thus saving costs and enhancing productivity and social interaction._x000D_ However, for KPMG AG SharePoint is not only an excellent solution to solve its own Information Management challenges. It is also the backbone of its Microsoft Advisory Service, because it offers tremendous consulting opportunity. As an example we will present a methodology KPMG AG Germany developed together with OSN and Microsoft Services for implementing SharePoint successfully in large enterprises not only as highly sophisticated technical infrastructure but also ensuring business benefits, governance, compliance and application lifecycle management and great user adoption. GeoFlow for Excel is a 3D visualization tool for mapping, exploring, and interacting with geographical and temporal data which enables people to discover and share new insights. With this tool you can easily visualize how geospatial patterns, such as clusters, trends, or outliers change over time. Once these insights have been identified, they can be quickly packaged into an interactive guided tour for sharing with the rest of your organization. GeoFlow is a new addin for Excel 2013 that will support creating multidimensional geo-spatial BI reports. Take a tour of the new features and capabilities around video in SharePoint 2013, including the new Video user experience, HTML5 support, managing multiple renditions, and specialized video search application. In this session weâ€™ll deep dive on how to use modern web tools like jQuery and CSS3 to build dynamic, search-driven web sites. Weâ€™ll show you how to create custom Display Templates that provide modern and interactive experiences to your online users. One of biggest challenges with the introduction of new technologies â€” especially collaboration technologies â€” is getting people to use them. Are you wondering how best practice organizations are engaging users to ensure successful adoption of SharePoint? Thinking about what you can do to make sure that your solution gets adopted? Are you curious about which features of SharePoint 2013 can help your user adoption plan? This presentation is designed to showcase proven examples and strategies to unlock the secrets of user adoption success. The topics will cover why it is important to invest in user adoption planning, practical and creative examples of user adoption strategies that work, critical elements for your user adoption plan, and 12 secrets to help ensure that if you build it, they WILL come! Enterprise Content Management (ECM) has become a key business priority for most organizations. The amount of business information created and shared is increasing in size and speed every day, compliance requirements are becoming more stringent, and key business tasks require accurate and fast access to records, documents, and other information. Historically, ECM has been approached from the department level. CIOs end up with multiple content silos across multiple ECM platforms from different vendors, resulting in an environment that is difficult to manage and expensive to maintain. In this session we’ll cover the value of standardizing on an ECM platform at the enterprise-wide level for the business and what an approach to get there could look like. Organizational data can live in many different locations. Often time, business users need to be able to find this data using SharePoint Search. In this session, you will learn how to create External Content Types to access the LOB data and to use the Business Connectivity Service to expose line of business data to SharePoint 2013 and to use SharePoint search to surface the data to the Information Worker. Come on a tour of the common development tasks needed to take advantage of the full power of SharePoint 2013 Search.Â Ingest content from external sources via the BCS.Â Â Enhance content prior to indexing via Content Enrichment.Â Pinpoint relevancy with contextual targeting with Query Rules.Â Leverage the Search Client Object Model to power search driven applications.Â Make the most of the new Keyword Query Language improvements.Â Customize the UX and make your search results shine! You’ve gotten your SharePoint 2013 Social features up-and-running, but want to understand how everything works under the covers? Join us in this session and learn about our architecture, storage model, and what it takes for activities across SharePoint to appear in the Newsfeed. We’ll look at a variety of example posts that you may see, and talk about how we generate, store, trim, and ultimately create the rich social experience of SharePoint 2013. SharePoint 2013 introduces many new social capabilities, but the social experience doesnâ€™t stop there.Â A host of extensibility points are available that will allow a developer to make any application social.Â In this session weâ€™ll cover SharePointâ€™s social architecture, and how you use these key points of extensibility in your application. SharePoint 2013 adds new social features and capabilities that can help your organization build community and increase communication. This session will demonstrate how to create applications that integrate with the SharePoint’s social features and user profiles. Demonstrations will show how to use the Social and User Profile REST API in sample applications and how to integrate external applications into the SharePoint 2013 newsfeed. Many SharePoint applications need to store files, content and data in storage along with the relational data you would store in a database. As part of Microsoftâ€™s Public Cloud offering, Windows Azure Storage provides a highly resilient and scalable storage service along with other capabilities like content delivery/distribution and content upload capabilities. In this session we will cover what the capabilities are, when and how you should use these capabilities with SharePoint and what tools and techniques you should use to manage your content. Web Templates, first introduced inÂ SharePoint 2010, provide a compelling deployment model for your custom SharePoint solutions both to an on-premise deployment and to Office 365. Learn about the key capabilities offered by Web templates and follow various samples which will demonstrate different deployment scenarios, along with best practices and common pitfalls of developing Web Templates. This session will teach you everything you need to know about protecting SharePoint 2013 with Data Protection Manager 2012. Learn how DPM 2012 compliments the out of the box backup and recovery tools to provide simple, fast, and automated recovery of SharePoint data. SharePointÂ 2013 introduces great new social capabilities and expands our remote data access and integration capabilities with new features in the client side object model (CSOM), new services and remote data access methods. In this session we take a look at the new improvements and have a some fun building a social Windows 8 application using the new SharePoint capabilities and WinRT. Self-Service BI Governance encompasses people, processes, and information technology.Â In this session we will cover best practices for planning, implementing and leveraging Microsoft’s full-featured, managed Self-Service business intelligence platform and tools to unleash the exponential power of Self-Service BI while also maintaining control and oversight. Discover how to unlock the full potential of your SharePoint investment by rapidly creating code-free solutions that are upgradeable to SharePoint 2013 and can be easily supported going forward. In this session, Quest Software (now a part of Dell) and one of its customers, Golder Associates, will discuss how you can solve real-world business problems today with code-free customization. Youâ€™ll also learn best practices for upgrading your SharePoint 2010 solutions to SharePoint 2013. _x000D_ _x000D_ Witness how Golderâ€™s â€œcitizen developersâ€ were able to create high-quality dashboards that combines, filters and displays SharePoint data, as well as back-end SQL Server data, in compelling and meaningful ways. The Quest team and Golder will then show a live demo displaying how quick and easy it is to upgrade a code-free, web part-based solution from SharePoint 2010 to SharePoint 2013. Microsoft SharePoint and Microsoft SQL Server Reporting Services are both great products in their own right, but put them together and things are even better! During this session we discuss why you would want to run Reporting Services in SharePoint integrated mode and we also configure a server and multiple sites. Donâ€™t expect a lot of slides â€” we spend most of our time working through the integration process, creating and securing sites, and deploying reports. A poor Information-Management strategy can be catastrophic to an organization. Though its importance is unquestionable, addressing this risk can feel like swimming upstream (with an 800 pound gorilla on your back). In this session attendees will learn how applying key concepts within SharePoint, such as policy automation, a quality metadata strategy and Search, can not only mitigate risks inherent in their company’s core business processes but generate opportunities as well. The session will distill the broad and general concepts of â€œRiskâ€ and â€œInformation Managementâ€ into clear, specific, actionable elements and will cover strategies to overcome common, real-world challenges. Attendees will walk away with a framework that will enable them to drive the conversation within their organization, make informed decisions, and apply the best policies and strategy to ensure success. 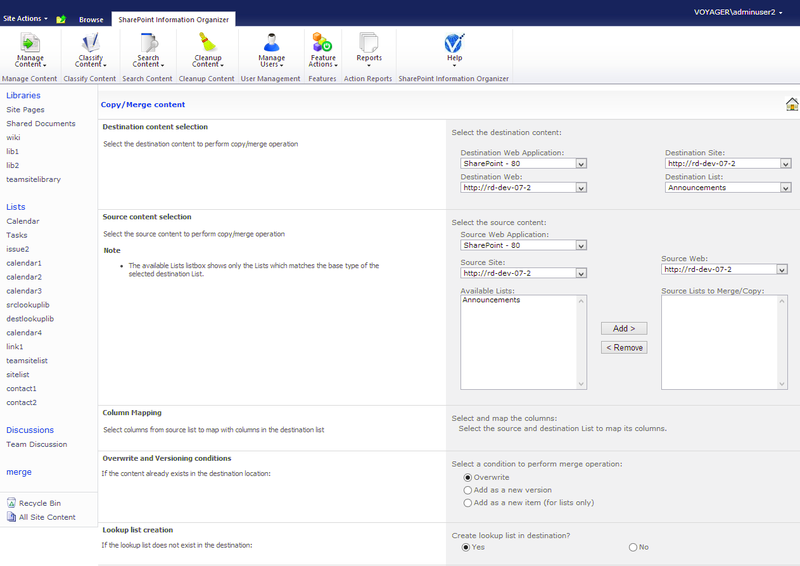 Want a simple way to help your SharePoint users maximize their capability? _x000D_ Join SharePoint guru Raimund Wasner, creator of the SharePoint Business ProfessionalTM certification, to learn how to setup SharePoint to manage documents of any kind in virtually any quantity. He’ll teach you how to configure SharePoint for business document management and how to use scanning software with integrated SharePoint features to allow you to manage ALL business documents in a consistent manner. You will learn how to get all your critical business records into SharePoint, and how to configure SharePointâ€™s content model to classify, index, secure and tag all documents, including paper files. Become the SharePoint hero for your organization. Itâ€™s easier than you think! From sketch to launch, this session will cover a tried and true process your project team can follow to ensure a successful internet-facing website project using SharePoint 2013. We’ll talk about each step in the process and will take an objective look at common pitfalls and identify functionality in SharePoint 2013 to speed your internet sites project to success. Come to this session to see live demonstrations of the top 10 ways that SharePoint will help drive end user adoption and make end users want to use SharePoint. From new social computing capabilities to a new user experience we’ll review the top ways that SharePoint will change the way people collaborate, find and share information and keep them coming back to SharePoint. We will also discuss the related critical success factors for customers to consider in their adoption, communication, migration and deployment plans. In this session we’ll share the SharePoint 2013 SKUs line-up, high-level feature tiering and talk about how you can license SharePoint for Intranet, Extranet and Internet Sites scenarios. We will also discuss the transition plan for SharePoint for Internet Sites (FIS) and FAST Search SKUs. Learn how Project Online and Project Server 2013 leverages SharePoint’s new business intelligence capabilities to provide easy, yet powerful, reporting options for the enterprise. See how Project Server data can be surfaced in real-time reports and dashboards using tools such as Excel 2013, Excel Services, PowerPivot and OData! Bringing people together to discuss common topics and find answers is easier than ever with SharePoint 2013’s Communities features. In this session we’ll cover the new community offering, when to use a community, how to customize and manage a community, and how it communities integrates with the rest of the Office social story. This session is focused on added value of Apps for the New Project; it’s targeted at both SharePoint Customers and Partners. Customers will see featured Apps that are currently available in the Office/SharePoint Store to help them be more effective and successfully manage their projects and portfolios._x000D_ _x000D_ Partners will learn about the experiences and best practices building them from other partners and Microsoft. SharePoint 2013 offers rich native apps and mobile browsing experiences for several popular mobile platforms. Each platform has its own level of support for different authentication schemas. In this session, we’ll cover which mobile apps and browsers will support different types of secure authentication and what type of login experience to expect. We’ll also cover how to structure your on-premises or SharePoint Online hybrid configuration to allow your employees to take advantage of the SharePoint mobile apps, so they can be productive on the go while still ensuring the security of your business information. Upgrading or migrating a customer’s existing environment to a new SharePoint environment can be a complex task. A successful approach must address both the technical aspects and the sometime more elusive, organizational aspect and culture. Join us in this session where we describe a prescriptive approach that empowers you to better plan the move to Office 365. Collaboration, as we know it, is focused on encouraging interaction between individuals and teams within an organization to make it successful. Projects tasked with applying this cultural shift into an integrated technical solution, however, usually start with a much narrower focus. Sponsored by executives, managers, IT, front-line staff or a combination of several stakeholders, these projects rarely have simultaneous buy-in from all. This session explores the adoption strategies for each type of stakeholder not originally vested in the projects, presents shortcuts for identifying value, and provides a roadmap for integrating features in SharePoint to enhance your long-term strategy. The Social Computing session will provide attendees with a framework for identifying and envisioning social computing adoption within organizations.Â The goal of the session is to identify the stages of social computing maturity and adoption within organizations and how to apply Microsoft’s stack of social computing capabilities and features through salient demonstrations.Â Today, organizations face a variety of pressures that push the adoption of social computing in various forms that challenges business and technical decision makers with selecting a strategy to create appropriate social experiences within the enterprise given a wide array of technologies and implementation types.Â This session will distill the phases that organizations go through in adopting social computing and demonstrate possible adoption scenarios for each phase.Â Business and technical decision makers will be able to gain an understanding of their position in the social computing adoption maturity model and which scenarios and technologies they can potentially adopt to meet the social computing needs for their businesses. In this session we will discuss upgrade and migration strategies for taking an existing SharePoint 2010 WCM internet site and moving it to SharePoint 2013 – while taking advantage of the new features and capabilities for building web sites. We will demonstrate the common steps needed for migrating a site from 2010 to 2013 and provide a hands on demos for different site migration options. What makes for a clean, predictable, efficient migration to SharePoint Online in Office 365? Come to this session to learn about content and customization considerations when planning your migration. We’ll cover suggestions on how to triage content, consider archival, and rationalize leave-behind decisions based on learnings from numerous successful migrations into Office 365. Search in SharePoint 2013 provides a comprehensive set of tools to manage search relevance. Not only does it combine and improve upon the best tools available in Fast Search for SharePoint 2010 and Search Server 14, but it also introduces the notion of query rules, that allow administrators to control relevance for a single query or sets of queries using a straightforward user interface. In this talk, we will explain how ranking works under the hood, and give hands on demonstrations of how to use query rules, result sources, XRANK, federation to external search providers and the rank tuning tool to improve your relevance. Weâ€™ll explain which of the tools are most appropriate for various situations. Weâ€™ll also explain about the Relevance Lifecycle: the iterative process of finding problem queries and fixing them that is essential to optimizing your relevance. Visio is a well-known tool for Business process documentation. However as an engine it can also be used to create high-end Business strategy solutions. Malik Management, Based in St. Gallen, Switzerland is one of the highest renowned consultancy companies worldwide consulting and assisting numerous Fortune 500 and governmental institutions. Learn how Malik management is leveraging Visio to create a high-end consulting tool for modeling corporate business structure. You’ve carefully avoided the pitfalls that make websites slow; now it’s time to go to the next level and leverage the performance enhancements SharePoint 2013 has to offer. In this session we will go into detail about features such as Smooth Transitions (commonly known as “MDS”) and Script on Demand, as well as the new content delivery network in use on SharePoint Online. We will then discuss the coding patterns required to make best use of these features. Have you heard of Server to Server OAuth identity platform and how it enables new hybrid and server-to-server scenarios in SharePoint 2013? If you havenâ€™t yet or you have heard only an overview and want to deep dive into it, this session is for you. Come and deep dive into how we engineered the authentication and identity platform in SharePoint 2013 with the platform patterns, primarily server-to-server and OAuth. Learn how this platform enables number of cross-product (i.e. SharePoint to Exchange/Lync) and hybrid (i.e. 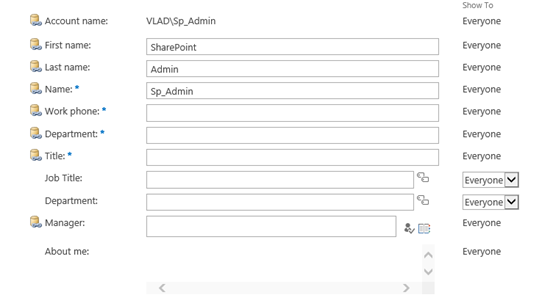 SharePoint Online to SharePoint on-premise or vice versa) scenarios in SharePoint 2013 and how you can also achieve similar scenarios using this platform. This session will provide you with unique and never heard security and identity information pertain to SharePoint 2013 that will help you to win customers and develop next generation applications using S2S OAuth to talk to SharePoint 2013. Thriving social workplaces are living systems â€” organisms that are capable of response to stimuli, growth, and development. In these social workplaces, participation is the stimuli, interactions aid growth, and the resulting developments are increased employee productivity and satisfaction. NewsGatorâ€™s new CEO will share how the only trusted, full-featured, enterprise-scale social solution â€”used by over 4 million humans to produce hundreds of thousands of social interactions and countless smiles â€” is driving client results and changing the way we work. Are you interested in integrating your SAP ERP environment with Microsoft SharePoint? This session provides attendees with comprehensive visibility into the current and future states of Duet Enterprise.Â You will begin with an educational overview of SAP to Microsoft integration before examining real-world solutions to support materials management, sales reporting, HR transactional data, procurement and sales force automation through Microsoft Outlook integration.Â Next, attendees will obtain unique insight into the expansive future capabilities of Duet Enterprise 2.0 and uncover the exciting potential for cloud-based SAP ERP integration solutions available in the new SharePoint. Windows Azure Web Sites is a simple and powerful hosting platform that allows developers to easily build and rapidly deploy web applications on Windows Azure using their favorite languages, frameworks, and tools. SharePoint Online brings the collaboration and productivity benefits of SharePoint to the Cloud. In this talk we start out demonstrating development and deployment of web applications using Azure Web Sites. We will then show how to integrate web applications running on Azure Web Sites with content and functionality from SharePoint Online. We will also walk through different development and deployment models for building Azure Web Sites web applications that seamlessly integrate with SharePoint Online. Words like “transformative” and “disruptive” are used all the time to describe new technologies, but in reality, very few live up to the hype. In this session, you will learn that PowerPivot is the rare exception: a product that actually exceeds the lofty expectations set by its marketing. BI projects that typically would demand 6- or 7-figure budgets and 9-12 month timeframes can literally be accomplished in a matter of weeks with the resources you already have today. Simultaneously (and paradoxically), the capabilities of knowledge workers’ favorite reporting and analysis tool are actually dramatically expanded rather than “reigned in”. Rob Collie (CTO of MS Partner Pivotstream) will demonstrate that reality via real-world case studies. He will also explain WHY PowerPivot is able to deliver these kinds of results, and provide organizational best practices for maximizing your ROI, both on the desktop and on SharePoint. Rob will also provide live demonstrations of finished PowerPivot applications, the capabilities of PowerPivot in Excel 2013, and new features of SharePoint 2013 including the modern visualization techniques enabled by Power View. Learn about SharePoint 2013â€™s new and improved capabilities for multi-language websites. This includes improvements to the variations system and translation integration. The session will also cover content reuse in multi-language environments as well as extensibility opportunities. SharePoint 2013 has a number of services that support cross-farm or federated architectures. In this session, we will introduce you to these services, discuss when to implement them, and share with you best practices on configuring them in your environment. Solid uptime, redundancy and reliability critical to your business? This session delves into how Microsoft operates SharePoint Online within Office 365 in production to ensure high availability and performance with foolproof disaster recovery. We will cover Microsoft’s approach to rapid incident management, pervasive monitoring and our telemetry system – a key aspect to insightful usage patterns that influence future enhancements and end user optimizations. SharePoint Online is SharePoint at massive scale across multiple datacenters worldwide. This session will uncover numerous aspects of the service including the overall topology, upgrade management, grid manager, provisioning, etc… You’ll learn about choices Microsoft made to optimize a highly performant, reliable, scalable multi-tenant SharePoint infrastructure. Windows Azure Media Services form an extensible cloud-based media platform that enables developers to build solutions for creating and delivering rich media content, including HD broadcast quality media transcoding and packaging services, video-on-demand and live streaming services. Media Services are built on the infrastructure of Windows Azure, Microsoftâ€™s Public Cloud platform. In this Session, we will provide a foundation for Developers on how to take advantage of Windows Azure Media Services. Weâ€™ll discuss how you can easily integrate Media Services with tools and processes you already use. This session will demonstrate on how you can build a cloud-hosted app for SharePoint with Ruby on Rails. This session will cover how to connect to data sources and use the SharePoint REST end-points within a Ruby on Rails app. 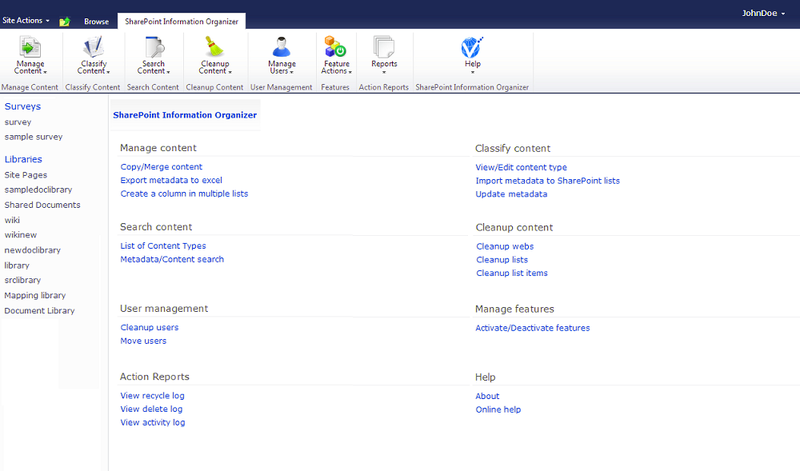 SharePoint 2013 introduces a lot of improvements when it comes to managing all aspects of a search deployment. In this session we will cover the most common methods for troubleshooting issues related to databases, crawl errors and warnings, entity extraction and content processing, query processing and query rules. Mail Apps are a brand new way for developers to extend both Outlook and Outlook Web App clients with the same code. In this talk, we’ll cover how the Apps for Office platform work in Outlook and OWA, which APIs are available, how to handle authentication and most importantly… what’s possible! We’ll also work through a demo of building a sample Mail App. Clifford Chance engaged with Microsoft on the Office 2010 TAP and RDP Programs and took the bold decision to adopt SharePoint 2010 as the firm’s document management system and as a platform for delivering internal productivity and collaboration apps. We’ll share with you the warts and all journey of deploying SharePoint in a global organisation, handling tens of thousands of sites, tens of millions of documents and terabytes of content, not to mention making changes to core business processes. See the Document Management Accelerator (DMA) customisations built by MCS UK. Benefit from the lessons learned and how we are planning to avoid repeating them as we transition from SP2010 to becoming early adopters of SharePoint 2013. See how Clifford Chance is exploring new SP2013 features such as Site Mailboxes, how we plan to co-exist SP2010 and SP2013 and the best approaches to preparing for SharePoint 2013. With the ever-growing use of SharePoint in the enterprise as a business-critical application, the requirement for high availability has become increasingly more important. This session provides an overview of high availability solutions targeted at each tier of a SharePoint Server 2013 deployment provided through capabilities available out of the box to maximize your environment’s resiliency and availability. In this session we will look at the new SharePoint Web Sites model for creating compelling and attractive websites that can adapt the experiences to its users. We will cover the new capabilities in SharePoint 2013 that allow companies to create rich public facing websites and e-commerce shopping sites. The session will be rich in demos around personalization, query rules, e-commerce marketing tools and promotions. You’ve read the white papers, you’ve Binged governance. But how, exactly, do you design a SharePoint implementation that allows you to enforce your governance policies for IT assurance, information management, and information architecture? What is the relationship between governance, architecture and manageability? How can you ensure that your architecture will scale with the growing and changing needs of your business without becoming unmanageable? In this session, SharePoint MVP and governance thought leader Dan Holme explores the technical side of governance, and shares the secrets for creating a logical and physical SharePoint architecture that effectively supports the information and service management requirements of your governance plan. You will learn how to enforce your governance policies with the optimal model of SharePoint farms both on site and in the cloud, Web applications, site collections, and other components. You will gain a deeper understanding of the intricacies and challenges of designing the logical and physical structure of SharePoint. You’ll learn what has changed in SharePoint 2013 and how those changes impact architectural decisions. And you will take away practical, blueprint-like guidance to what a governable SharePoint service architecture might look like in your enterprise. Every customer who has used SharePoint has faced the question of customization. The SharePoint platform has always provided a rich development platform. While SharePoint 2010 introduced the client side API and sandboxed solutions the majority of development was done using server side code that usually had to be deployed by a Farm Admin. SharePoint 2013 has introduced a host of new capabilities and shifted the focus of customization to the client side. While this new model reduces the concerns of an admin running server side code it introduces a host of new challenges to try to ensure a healthy, compliant platform. This session will examine how existing recommended practices for SharePoint 2010 governance are effected and recommend new approaches to address the new avenues of customization including the new application model both self hosted and cloud hosted, the new delegated BCS model, the new branding capabilities and Office Applications. This session will cover how you can package and deploy your apps for the Office and SharePoint Stores. This session will walk you through the developer sign-up experience as well as uploading your first app to the store. The key to building a successful SharePoint 2013 environment is to ensure you are starting with the right requirements. In this session, you will learn how requirements impact design. You will then learn what questions are important and more importantly, how to get the answers you need. Having an effective SharePoint strategy is essential to getting the full value out of your platform investment. But how do you create an effective strategy and where do you start? SharePoint is a constantly evolving platform so once you have a strategy, how do you ensure it will be successful over time? Join Richard Harbridge as he discusses the importance of effective SharePoint strategies and outlines real-world best practices in the industry. In today’s fast-paced, project-centric work environment, the ability to coordinate multiple projects with distributed teams, and making high-level strategic decisions based upon consolidated project progress, risk and resource usage information is critical. Microsoft Project Online is a cloud-based, enterprise-wide solution designed to fast track your project management office to meet these challenges. In this interactive session, you will learn practical steps on how you can easily build a project management office (PMO) based on Microsoft Project Online. If you plan to build apps for SharePoint then come join Mike and Sean for a most excellent adventure through the Visual Studio 2012 tools. Learn how to best use Visual Studio to build great apps for SharePoint, and being two of the guys that designed the tools, we may even show you a few undocument tips & tricks. In this demo heavy session we will explore the SharePoint development experience and see the first class support for common app features including client web parts, custom actions, remote event receivers, BCS models, and more. You will learn how to develop apps using remote development against an Office 365 Developer site as well as locally using high trust authentication. SharePoint 2013 introduces a new and highly flexible search topology. This gives more flexibility on how to scale a system, and allows search to tackle demanding requirements for query and indexing performance. In this session we will take you through the deployment of a multi-node search installation, provide best practices for common operational procedures, and give you tips and tricks on how to keep your search system healthy. In this session we will cover the brand new ecommerce and storefront solution built using SharePoint 2013 and Dynamics AX for Retail. This solution provides an ecommerce storefront platform that leverages SharePoint 2013’s search driven adaptive online experiences with Dynamics for Retail to power scenarios around merchandizing, catalog management, pricing and promotion, order management and financials for an ecommerce site. Learn how you can implement compelling, adaptive commerce sites that increase revenue, drive site engagement, conversions, and loyalty and build ecommerce ISV solutions on the Dynamics and SharePoint platforms. Many organizations use SharePoint, Office and Microsoft Dynamics CRM to manage their key customer relationships. Many customer sales, service and marketing processes require collaboration and document management across teams and departments. Microsoft has an incredible toolset to support your employees in the way they interact and collaborate both internally and with customers. This session provides a technical overview of how these technologies can work together to make your organization more efficient in document management and collaboration. We will walk through the integration is available out-of-the-box, what can be done through configuration and finally the possibilities using custom development. Knowledge of Dynamics CRM is not required. SEA CORP builds rocket launchers. They wanted to deliver more to their business. SanDisk is the world’s leading manufacturer of flash memory cards. They wanted their people to make better business decisions, faster and on any device. Easy vs Hard. Yes vs Maybe. Fast vs Slow. Hear these companies tell their stories, and see the newest software from K2 that makes it easy to build and run apps on SharePoint 2013. The new SharePoint app model enables custom code written on any server platform to integrate with SharePoint services and experiences, whether on-prem or in Office 365. In this session youâ€™ll see how a single app can be written to work in on-prem, online, and hybrid SharePoint environments. Creating the right experience in Power View is dependent on creating the right BI Semantic model.Â In this demo heavy session we cover everything from creating a basic model to one that will enable your users to fully realize the capabilities of Power View.Â We will develop BI Semantic models in SQL Server 2012 that include multiple relationships, hierarchies, images, custom measures and KPIs. In this session you will learn how to utilize the data connectivity features of the Visio 2013 client to create a data connected dashboard powered by Visio Services, Business Connectivity Services, and SQL Azure all within SharePoint Online in Office 365. Key topics include: New data connectivity options for Visio and Visio Services; New rendering capabilities for Visio Services; Bonus: Using the Visio API to generate data connected diagrams published to Visio Services. Many companies that use SharePoint and Microsoft Dynamics CRM are increasingly looking for ways to integrate these two technologies together. This session provides a technical overview of Dynamics CRM and walks through the out-of-box integration with SharePoint along with the integration possibilities using custom development. Also learn some of the developer patterns and practices you can use when building apps that integrate Microsoft Dynamics CRM and SharePoint 2013. Knowledge of Dynamics CRM is recommended but not required. Are you looking at changing the way people connect and collaborate? If so, it’s likely that you are ready to transform the Social Enterprise landscape in your organization. In this session, we’ll lay the groundwork to get you started with MySite deployment, focusing on enabling Social in your Enterprise. We will cover a number of topics around MySite dependency on Social features, infrastructure level changes when instantiating the user’s MySite and the various user profile permission levels relevant to MySite. In this session we will show how SharePoint 2013 is serving live internet sites. We will go through how they work, what considerations that have been made and what value that has been provided when building the internet sites using SharePoint 2013. Learn from real life examples how SharePoint 2013 is used to serve appealing internet sites and how you can learn from these examples how to use the different functionalities to serve your needs. A revolution is brewing in the enterprise today – mobile technologies, business velocity, collaborative engagement, advanced analytics, and unified communications are converging to deliver the promise of enterprise social success. Organizations that miss this paradigm shift from transactional systems to engagement systems will face dire consequences. Join Dux Raymond Sy in this interactive session as he shares how you can positively transform your organization and lead the enterprise social revolution by applying practical steps to drive culture change and effective techniques to promote organizational adoption with SharePoint 2013. Learn how Deliver Australia Pty Ltd was able to meet customer needs and timeline in a managed, scalable and secure way. Small and medium sized businesses often have the same needs as larger enterprise customers, but budget and expertise is generally a challenge. In the logistics segment there is great demand for collaborative solutions with multiple partners, carriers and customers and an agile approach to solution implementation. B2B integration is also almost always part of the projects. Office 365, Windows Azure and process modeling and visualization using Visio have allowed Deliver Australia to effectively and quickly build a platform that meets immediate needs and is ready for future expansion and growth at a very reasonable cost. This session will demonstrate the most interesting aspects of a holistic business application with strong emphasis on collaboration, visualization, process driven solutions and business intelligence. We will also discuss the limitations we encountered using 2010 version and how the new Office wave addresses those issues, with some interesting uses of User Experiences utilizing Windows 8, Windows Phone 7.5 and multi touch interfaces. This session isÂ a deep dive exploration into the Microsoft BI stack using Office 2013, SharePoint 2013 and SQL Server 2012. We will be covering the platformÂ architecture as well asÂ technical details of the new PowerPivot engine across the Excel client, SharePoint server and SQL Server platform to give you a holistic view of the stack. The session will be full of fun demos that will showcase the new engine in various business scenarios. The latest Office 365 SharePoint Online release is the first one to introduce IRM services as part of the cloud based offering. RMS Online is an online document protection service that one gets when signing up to the relevant Office 365 SKU. In this session you will learn how to use IRM services in SharePoint on premises and SharePoint online, how these features complement the IRM services that Office Clients and Exchange provide, how RMS Online works and how the services are built to scale and serve a massive audience. Enterprise Content Types are oneÂ the mostÂ important components to a successful ECM implementation.Â In this session, we will do a deep dive into how to create content types programmatically, how to optimize usage of the content type hub, and strategies for effectively managing content types at large scale. 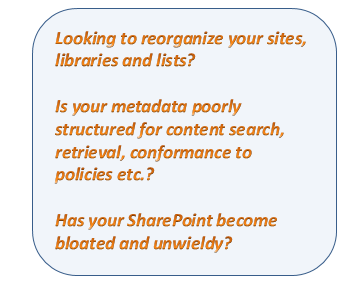 The Managed Metadata Service is the central store for corporate taxonomies, catalog product hierarchies, and site navigation in SharePoint 2013. Do you need to import and export content from the term store, or keep multiple taxonomy environments in sync? In this session, we will review the taxonomy architecture and available options for synchronizing data, and then explore code samples that solve these problems, including a discussion of the new Taxonomy Client Object Model. ECM extensibility in a cloud world: Yes, you can! Join an ECM product team developer in this dev-oriented session where we’ll build an app using some of the available extensibility points in SharePoint 2013 like remote event receivers and app parts and show how to leverage them in ECM scenarios. PowerPivot, first released with SQL Server 2008 R2, is how now a native add-in for Excel 2013 that empowers business users to create their own tabular data models. In this session, you will learn about how the new add-in has been enhanced to include numerous new modeling features. Available also in SQL Server 2012, Power View is an interactive data exploration, visualization, and presentation experience that provides intuitive reporting for business users. It delivers this experience directly in the new Excel 2013 client as well as in the web browser by using SharePoint, and must be based on a tabular BI Semantic Model (either a published PowerPivot workbook or a tabular database). Ordinarily, the tabular BI Semantic Model will need to be prepared and optimized for the Power View experience, and the theory on how to achieve this will be introduced and demonstrated in this session. In SharePoint 2013, it’s easier than ever for end-users to make a site feel like it’s their own. But how can developers and IT Pros get involved? Find out in this deep dive into the new & improved SharePoint theming platform where youâ€™ll learn how to integrate with product stylesheets, build your own themes, and make your own themable master pages. This session will cover an overview of how to customize SharePoint 2013 sites and pages â€” similar to the activities you would have used SharePoint Designer for with the 2010 platform. These non-workflow or branding activities include conditional formatting, customizing views, etcâ€¦ If you are a SharePoint 2010 power-user that utilized SharePoint designer for page customization, this session will show you what options are available with 2013. If you are a developer or designer, this session will show you what out of box and client-side customizations are available with 2013. If you are a Developer using SharePoint today, you may be evaluating Public Cloud services and how to take advantage of Cloud to build new apps or extend existing ones. Windows Azure is an open cloud platform that enables you to quickly build, deploy and manage applications across a global network of Microsoft-managed datacenters. You can build applications using any language, tool or framework. Join us in this Session learn how you can use SharePoint and Windows Azure together â€” weâ€™ll provide guidance and practical recommendations in support of optimizing your development experience. In 1883, Barney Kroger invested his life savings of $372 to open a grocery store at 66 Pearl Street in downtown Cincinnati. The son of a merchant, he ran his business with a simple motto: â€œBe particular. Never sell anything you would not want yourself.â€ It was a credo that would serve The Kroger Co. well over the next 120+ years as the supermarket business evolved into a variety of formats aimed at satisfying the ever-changing needs of shoppers. Today, Kroger ranks as one of the nationâ€™s largest retailers with nearly 2,500 stores in 31 states under two dozen banners and annual sales of more than $70 billion. Due to Kroger’s tremendous growth and size, helping its 340,000 associates stay connected and share knowledge is critical. While technology plays a strategic role, creating an environment where Kroger associates can innovate, contribute insights, collaborate, and be inspired is key. Our session shares Krogerâ€™s journey to support these goals and launch a pilot for business social networking using Yammer and SharePoint. We will discuss the business vision, use cases, and technical implementation. As a part of the corporate integration process, United, now the world’s largest airline, needed a new system to manage the many technology requests for its 80,000 employees. United chose SharePoint 2013 for its new Term-Store-driven catalog capabilities in the design of this system. This highly flexible interface is easily customizable, and can be managed by internal resources, resulting in significant cost savings over paying third-party consultants to update the existing database of catalog items directly. Also see how United is leveraging the new user-favorite 2013 wiki features and is socializing these new products and services with SharePoint personal sites. Setting up board materials for review can be very time consuming. This is an integral part of any publically traded business. Learn how NASDAQ will be providing an easy to use solution for 850+ companies, 25K customers based on SharePoint platform. Learn about how the solution will make corporate board reviews a much easier process. NASDAQ will make this app available in the Microsoft store for free for customers to use (both on premise and Azure). This session will demonstrate how a very big PerformancePoint Services Dashboard is migrated from SharePoint 2010 to SharePoint 2013. Our Dashboard consumes data from SAP BW which is imported Cube (BW) to Cube (SSAS) using a third party interface (i.Net BI from Neudesic). Furthermore data is rearranged and enriched using a custom SSIS process and then visualized using Scorecards, KPIs, Indicators and SSRS reports. The session demonstrates all necessary steps to apply a full migration of the whole Dashboard including all components from SharePoint 2010 to SharePoint 2013. This includes the proper setup of the PerformancePoint, SecureStore and SSRS Service Applications, the SiteCollection as well as the demonstration of possible hazards using multi authentication and the BI tools of SharePoint..
Booz Allen began utilizing the SharePoint Products and Technologies as their core collaboration platform with the SharePoint 2003 version. Over the years, through the migration and integration of other products with the SharePoint 2007 platform, the Firm has seen the benefit of social collaboration to disseminate information and facilitate a wider body of knowledge to develop solutions for clients. The firm decided not to move to the SharePoint 2010 platform due to market drivers, but with the investments in the SharePoint 2013 platform, the decision has been made to leverage the enhanced social capabilities and communities to consolidate onto a single platform that integrates into the social cultural fabric as a primary system in the Booz Allen ecosystem. Come hear about Booz Allen’s transition and lessons learned moving from a conglomeration of social tools to SharePoint 2013. Present how SharePoint grew at Revlon from 2003 to 2013. The timeline starts at 2003 with deployment of Project Server 2003 up until current time, with a planned upgrade to SharePoint 2013 and Project Server 2013. We will show how the product grew, sometimes by decree and sometimes organically. We will show how we’ve built up enthusiasm, sponsorship and momentum behind Microsoft Office stack to turn around the image of the IT organization. Additionally, we’ll show how we support, upgrade and maintain the products, deal with 3rd party solutions as well as any custom development while decommissioning legacy applications. We will also highlight where we’re planning on taking the implementation with Office 2013, and how we integrate it with other applications. Learn about security trimming in SharePoint 2013 Search and how Claims-based Authentication is securing your content. In this session we will describe and demonstrate how security trimming works end to end from Content Processing to Search front end. We will also demonstrate how custom security trimmers can be used. A demo led discussion: This session will show you how one could get more value out of their Dynamics and SharePoint investments with Visio / Visio services. Visio services can help you uncover and visualize key insights from your Dynamics data in a seamless fashion. The process of building, branding and delivering a well-designed web site is more than just skin deep. In this session we will walk you through best practices for planning, creating and deploying engaging web sites with SharePoint 2013 for both on-premises installations as well as SharePoint Online. We will also share best practices around the branding process with lessons learned from real world SharePoint branding projects. Whether you are an administrator, developer, manager, or someone else who just wants to make your SharePoint site look better – this session will leave you with the resources to get your branding project off to a good start and the guidance to make it all the way to completion! Apps for Office are a brand new way for developers to extend Office and Office Web Apps. In this introduction talk, we’ll cover how to develop apps that can be used in Word, Excel, PowerPoint and Project. We will also discuss the differences between task pane and content apps and how they can be used within the various Office clients. A workflow activity is a building block of a workflow and a basic unit of workflow execution, which bases on various level of platform libraries. Workflow actions are wrapper objects that encapsulate these underlying activities and present them in a user-friendly form in SharePoint Designer. This session will go over how a developer can create a custom activity along with a custom action, within Visual Studio, and then have that new action show up in both SharePoint Designer’s Text-Based Designer and Visual Designer. We will dive deep into creating a new custom declarative activity that calls into a custom web service, and then wrapping that activity up into an action. Access enables end-users in business units to develop applications quickly at low cost. This agility is valued by large organizations around the world. However, some of these same organizations struggle with managing the myriad of Access databases in use. This session will cover how you set up, configure and manage this new service to get the best of both worlds: you can satisfy the need for agile development from your business units and still rest assured that the data is secured, backed up and managed appropriately. Learn how to create the next generation of compelling, beautiful, interactive data visualizations, reports and presentations with Power View. Along the way, we’ll take a deep dive into the latest Power View features such as interactive maps, pie charts, KPIs and hierarchies. This is the session must see for all business intelligence enthusiasts. We will be demoing the new Power View for Excel and SharePoint 2013. We all know SharePoint 2013 is fully-loaded with improvements, but are you positioned to make the most of its ECM features? Join KnowledgeLakeâ€™s CTO, Chris Caplinger, and Engineering Lead, Hao Zhai, as they ensure you will walk away from this session with a solid understanding of how to best leverage Microsoftâ€™s refreshed version of its rock star platform. Whether from your desktop, business application or even on the go, learn how to reduce the challenges and seize the opportunities SharePoint 2013 will bring to ECM! When it comes to project management, every individual, team, and organization has unique needs. Microsoft’s vision for project management is to enable individuals and teams to choose the tool that is the best fit for their specific project while still delivering the visibility that their organization needs to ensure focus on the right priorities. This session will help you understand how all the solutions across Office 365, SharePoint, and Project fit together so you can chart a realistic approach to project management for your organization that will deliver immediate value with an eye to the future. SharePoint 2013 introduces the cloud app model. This app model enables you to build either SharePoint-hosted or cloud-hosted apps. Within this session you’ll see how to build apps for SharePoint 2013 using node.JS, PHP, SQL Azure and Windows Azure with the brand new SharePoint 2013 cloud app model. This session will focus on developing applications for the SharePoint Marketplace that auto-provision in Azure. We will examine the full lifecycle for these apps, including use cases, tooling for developers, publishing to the marketplace, and Azure/licensing considerations. Through code and demonstrations, attendees will see a real world application progress from idea inception to marketplace deployment. SharePoint 2013 introduces several new UX platform components that you can take advantage of in your applications and sites. Join two of the product group developers on a dev-oriented tour of some of these new components such as the Animations platform, Minimal Download Strategy (MDS), Callouts platform, Client Side Rendered List Views (CSR), and more. 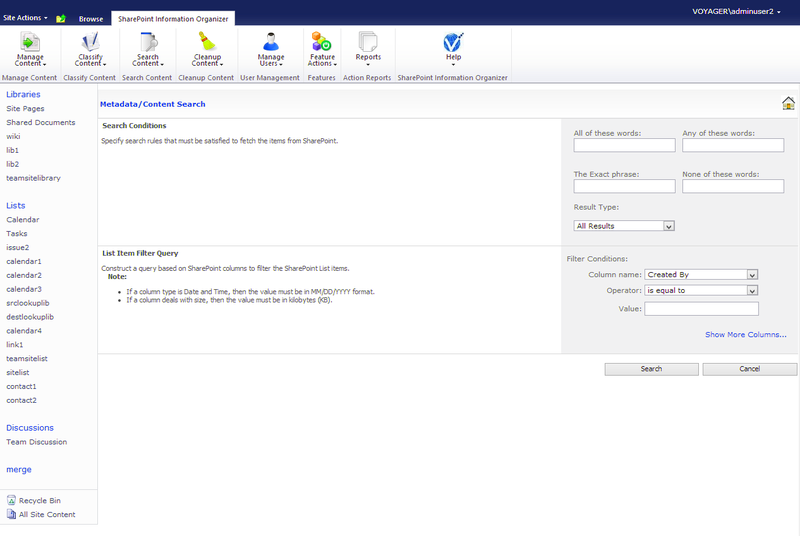 Build SharePoint 2013 composite solutions – all you need is a browser! The possibilities are limitless when building SharePoint solutions using just the internet browser. The simple and intuitive interface makes it very easy to create robust applications. In this session, you will learn how to use the SharePoint 2013 framework of lists, libraries, pages, web parts and even apps to build powerful SharePoint solutions. Windows 8 Metro Style Apps offer a rich user experience that is perfect for exposing data from SharePoint 2013. In this talk, we’ll make use of the new SharePoint 2013 REST API to retrieve data from SharePoint and visualize it in a custom Windows Store app. You’ll learn the intricacies and caveats of working with Windows Store apps and SharePoint. Attendees will learn how to build a full-screen SharePoint experience in a rich application. With periodic notifications, we’ll update live tiles with data from SharePoint. We’ll then leverage the search contract to query SharePoint directly from your app. If you’ve been interesting in building great looking Windows 8 applications with SharePoint, attend this talk to learn more. The session will discuss and demonstrate Kraft Foods’s use of SharePoint 2010, specifically outlining: the business case for creating customized internal sites; how Brand teams have used SharePoint Portals to better manage their business; Increasing Brand Managers personal productivity by flattening the learning; How to increase user adoption and usability from a non-technical user base and Connecting Kraft through SharePoint to their Agencies, Retail Partners, Suppliers, etc. Project Online is a new service on Office 365 and, following early adoption programs, a number of customers have deployed it in production. Through these early engagementsâ€”including many from internal Microsoft businessesâ€”we have received valuable feedback how our new service helps customers manage their work. If you are considering Project Online, this session is well worth your time to learn how customers are leveraging the unique capabilities of Project Online and to gain valuable insights to help you plan your deployment. In this session, you’ll learn the fundamentals of enterprise content management and records management as they apply to SharePoint 2013. Important topics include: what is enterprise content vs. collaborative content? What are records and how do you manage them effectively? You’ll learn the key SharePoint features that are available to support your ECM and records management initiatives, including record declaration, using tags effectively, managing document IDs, putting e-discovery to work, enforcing site policies, and using the content organizer. A deep dive on new features and capabilities that now allows designers greater flexibility for creating great looking web sites with SharePoint 2013. We will cover the new design manager, support for HTML editing tools, mobile channels, imaged and video renditions, SEO friendly site maps/URL’s and more. You probably already have a few team sites deployed in Office 365 to help people connect and collaborate but what about the needs of your legal and records management teams? Have a work group that that needs a workflow process built out? From onboarding large Active Directories to implementing information governance in the cloud, come learn what every large enterprise needs to know to take full advantage of what Office 365 has to offer for all parts of their organization. Do you want to create a learning organization where your training is employee generated and easily consumed? _x000D_Do you have an increasing number of Gen Y, worldwide or mobile users? _x000D_Do you want a video platform for your training programs that will drive collaboration, build community, and enable the sharing of ideas and knowledge; one that is highly accessible any time and from anywhere? _x000D_ Learn how the Microsoft Academy team has tackled these questions and is using SharePoint, phone and tablet applications to power online video sharing across the company. _x000D_ Learn business best practices and solution design tips and tricks that made it possible to share more than 30,000 videos consumed by 90,000 employees every year for the last 5 years. Discover what it takes to successfully implement your own SharePoint 2013 based ‘YouTube in the Enterprise’ . The Social architecture has gone through significant changes in SharePoint 2013. Come to this session to learn more about the dependency of Social features on MySite and the changes weâ€™ve made when instantiating a user’s personal site. Weâ€™ll also cover how clients can discover a userâ€™s personal site, user profile permission levels, and the new CSOM API support for personal site creation. Come see how SharePoint Online can be used to create intranet sites that are both usable and provide an engaging user experience. In this session you will learn how form and function are related when planning and creating your company intranet in the Cloud. Nintex is ready to deliver Workflow for Everyone to SharePoint 2013. This session will explain and demonstrate new developments in its flagship Nintex Workflow and Nintex Forms products. You’ll see how we extend SharePoint in all of its incarnations, including new investments in mobile, social, and cloud functionality. By attending, you’ll get a clear picture of what we add to SharePoint 2013 and how you can benefit from it. Upgrading or migrating a customer’s existing environment to a new SharePoint environment can be a complex task. A successful approach must address both the technical aspects and the sometime more elusive, organizational aspect and culture. Join us in this session where we describe a prescriptive approach that empowers you to better plan the move. Note that the session applies for any version of SharePoint. Learn more about new and exciting ways to build dashboards in Excel, Excel Services, and PerformancePoint. We will examine some of the new features in each product and also look at how the new Apps for Office can allow you create rich dashboards in Excel and Excel Services, empowering your Excel and Excel Services Reports with interactive web applications. We will not stare at pretty, pre-built dashboards. Rather, we will look at how you can use Microsoft BI to build them easily on your own. With over a dozen moving parts, creating custom SharePoint Service Applications (SAs) can be quite daunting. In SharePoint 2013, SAs continue to be the best approach to allocating intensive processing from the Web Front End (WFE) servers onto load balanced application servers or even enabling other Farms to offload their processes to a centralized/dedicated set of application servers._x000D_ _x000D_ Such a complex topic is best presented in segments…_x000D_ _x000D_ In the first segment at Tech Ed North America 2011, Todd explained the reason for SAs, SA terminology, and SA concepts (please watch the video at http://mindsharpblogs.com/Todd/SPC/SAsPart1.aspx as pre-work for this session)._x000D_ _x000D_ In the second segment at SharePoint Conference 2011, Todd subsequently demonstrated the fundamentals of implementing a basic custom SA, so every developer could leverage their power and flexibility (please download the VS.NET project at http://mindsharpblogs.com/Todd/SPC/SAsPart2.aspx)._x000D_ _x000D_ In this final segment, Todd will demonstrate how to extend a custom SA to include: custom SA administration pages (New, Manage, and Properties) integrated in SharePoint Central Administration, a custom database, integrated backup and restore, custom SA Timer Jobs, custom SA PowerShell cmdlets, Service Proxy Group integration in the Farm Configuration Wizard and new Web Application page, as well as tapping the Custom Permissions and Administrators group._x000D_ _x000D_ Don’t miss this third and final segment to harnessing the power of a custom Service Application (http://mindsharpblogs.com/Todd/SPC/SAsPart3.aspx). Microsoft Services will present a new concept currently under development for SharePoint 2013 called Product Line Architectures that will be available to Partners and Customers in early 2013. This new approach will greatly reduce the on-premise deployment lifecycle, inherent complexities experienced in previous releases and ultimately align customers for future adoption of SharePoint Online. The session will focus on the concepts, scenarios and how to leverage the PLA in future engagements with Microsoft. This session will go over the nuts and bolts of a real world app scenario that we all know and love… Help desk support. During the session, we will look at the overall architecture the app as well as review the code of key components of the app itself. Finally, the session will describe the learnings found that every SharePoint developer will want to know. To answer the question “what’s your social strategy?”, there’s a systematic path to assess your business environment and identify high impact opportunities. Social psychology is telling us that “behavior can be viewed as a function of the person in the environment” (Kurt Lewin). As value creation is the outcome of desired behavior, a good social blueprint has to be focused on a persona based understanding of engagement models and a framework to facilitate the design of suitable social environments within different scopes (e.g. customer centric, B2E, …). The purpose of this session is to provide a structured overview of the success factors, lessons learned and available tools to use as a foundation for a 360 degree social business architecture. In this session, we’ll cover some tools and techniques for building out apps for Office and SharePoint, including architecting for cross-domain scenarios, types of apps and much, much more. Office and SharePoint 2013 introduce a new app model that brings the best of web development to Office and SharePoint. This session will use a series of demos to walk through the developer getting started experience for apps for Office and SharePoint and will highlight our Napa and Visual Studio developer tools. Come learn how to build your first app for Office and your first app for SharePoint.